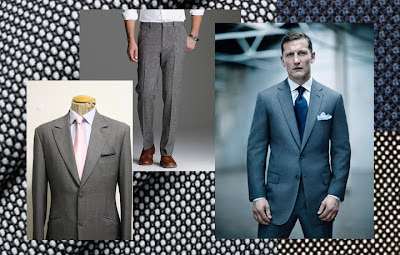 With so many different types of patterns, how is a man to decide which suit to buy!? We'd like to take you to UWM's classroom. Today's topic: suit patterns. Stripes are typically viewed as a more formal or conservative suit pattern. 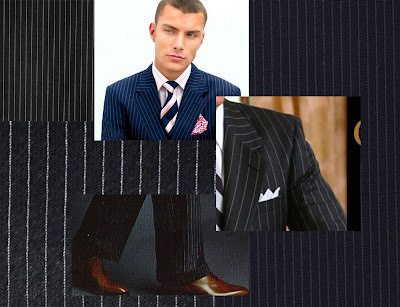 If you are needing a suit for work or something that is a little more formal, go with a stripe. Plaids (also referred to as Glen-plaid or Prince of Wales) are a little more casual and offer a great amount of versatility. 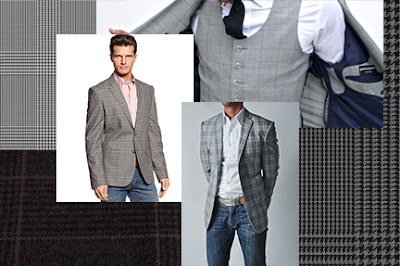 With a nice plaid suit, you can use the jacket as a sport coat and pair it with your jeans. The great thing about a plaid suit is that you can use each piece (jacket, slacks, vest) as a separate. Houndstooth is the pattern that you see in the top-left of this image (interlocking teeth-like pattern). 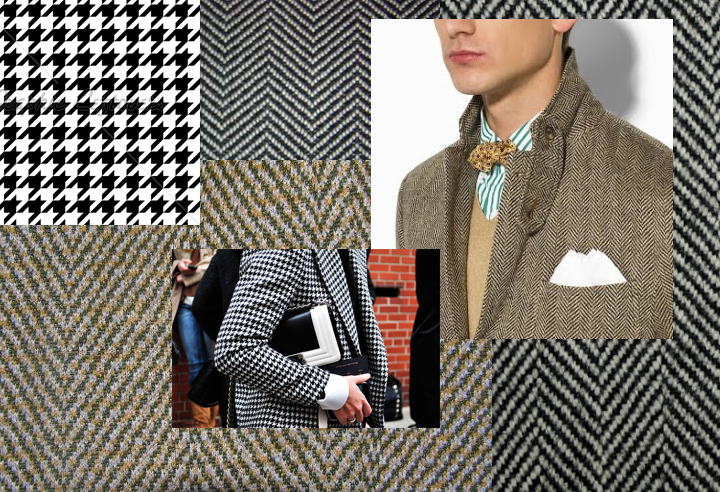 Herringbone is the diagonal zig-zag pattern seen on the right side. These prints are typically seen in heavier fabrics, and most often worn during the colder months of the year. With great texture and casual look, these patterns are a great choice to wear on a night out. If you are looking for something that is had a little more texture than a solid suit, bird's eye/nail-head suits are a great substitute. As you can see from the image above, from a distance these suits look like they are a solid; however, as you get closer, the bird's eye pattern will give definition and distinction to your suit. You owe it to yourself to branch out and try a pattern that you haven't worn before. You'll be surprised at your happy reaction!